Now we’re living on a warm, hospitable planet. As Carl Sagan has said “That’s home. That’s us. On it everyone you love, everyone you know, everyone you ever heard of, every human being who ever was, lived out their lives.” We, humans, are the unquestionable rulers of our little oasis in a hostile universe. But all things must pass. The life on Earth, even the planet itself, won’t last forever. What’s more, the humans may go extinct before our planet (and probably before the life on it) dies out. Here some possible (and horrible) ways how planet Earth could die. 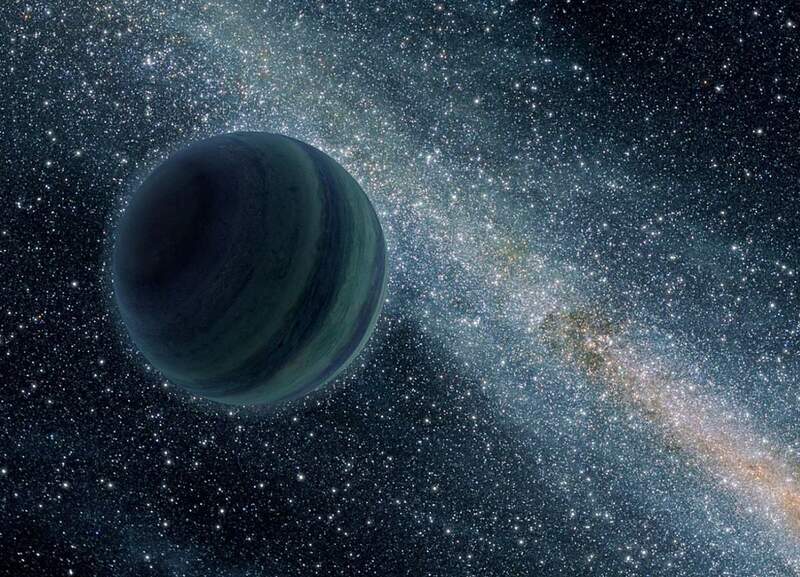 What if a rogue planet enters our solar system? It would be catastrophic. It could alter the planets’ orbits (the bigger the rogue planet, the worse the danger) and drag Earth into an extreme and inhospitable orbit (too close to or too far from the Sun). It could even kick us out of the solar system. What’s more – it could crash into Earth. 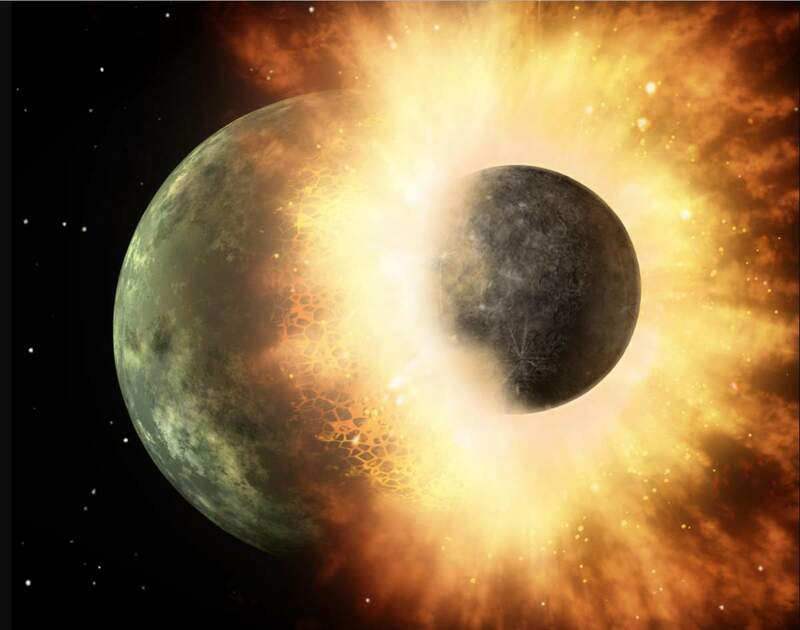 And it probably happened before: about 4.5 billion years ago, 20 to 100 million years after the solar system coalesced (in the Hadean eon), a Mars-sized object named Theia collided with Earth and the Moon formed out of the debris left over. In the all scenarios above, the life on Earth would come to an end. Plus, the Earth itself could become a rogue planet. While this number is already big, according to a 2012 study, our galaxy may swarm with these wanderers: there may be 100,000 times more “nomad planets” in the Milky Way than stars! According to a new study, published on Astronomy & Astrophysics, there could be billions of undetected rogue planets could be in the Milky Way galaxy. If a rogue planet can do that much damage, imagine what a star could do. 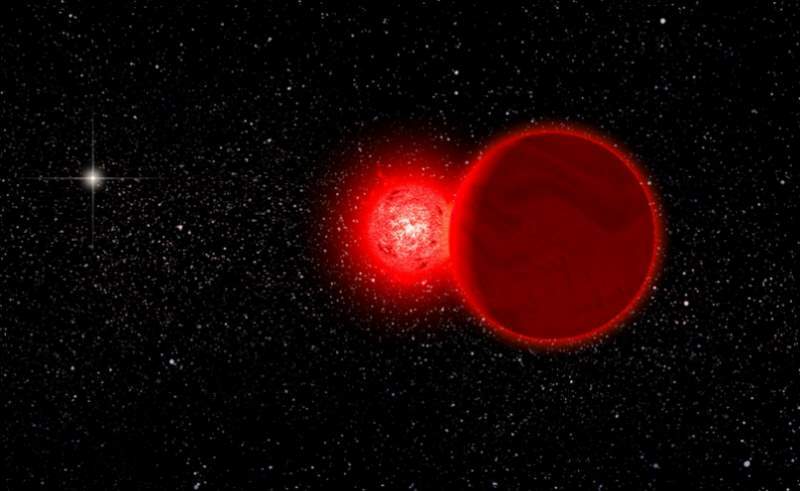 An approaching star may seem unlikely, but it happened before, and just 70,000 years ago! It’s just a blink of an eye compared to the Earth’s age, which is 4.543 billion years. Our ancestors were about to left Africa at that time. In 2013, astronomer Ralf-Dieter Scholz discovered a binary star which is 17–23 light-years (5.1–7.2 parsecs) from the Sun in the southern constellation Monoceros near the galactic plane. The surprising discovery about the star came around two years later: in 2015, Eric Mamajek (as of 2017, he is the Deputy Program Chief Scientist of the NASA Exoplanet Exploration Program -ExEP) and collaborators reported the system passed through the Solar System’s Oort cloudNotes 1 roughly 70,000 years ago, and dubbed it Scholz’s Star. It’s estimated that the comets perturbed from the Oort cloud would require roughly 2 million years to get to the inner Solar System. Artist’s conception of Scholz’s star and its brown dwarf companion during its flyby of the solar system 70,000 years ago. The Sun (left, background) would have appeared as a bright star. The pair is now about 20 light years away from the Sun. Image Credit: Michael Osadciw/University of Rochester. Scholz’s star probably wasn’t the first, and it won’t be the last: According to a research paper produced by Dr. Coryn Bailer-Jones of the Max Planck Institute for Astronomy in Heidelberg, Germany, a rogue star called HIP 85605 is on collision course with the solar system, in 240,000 to 470,000 years. But we’re lucky again, the Earth will not be in danger: according to Bailer-Jones’ calculations, the star will pass by our Solar System at a distance of 0.04 parsecs, which is equivalent to 8,000 times the distance between the Earth and the Sun (8,000 AUs). The next closest encounter won’t be happening for another 1.3 million years. About 1.35 million years from now, Gliese 710, a K7 dwarf star in the constellation Serpens Cauda is expected to pass through our Solar System’s Oort cloud. It is a bit bigger than Scholz’s star and its distance is currently 63.8 light-years or 19.6 parsecs from Earth. It is predicted to pass within 0.10 – 0.44 parsecs. In these two case, we’re lucky. But in the far future, much more dangerous events may occur: imagine a passing-by rogue star went supernova? It would send deadly gamma rays into the inner solar system. The closer the supernova, the bigger the threat is. The probability of that kind of event is really slim, though. If a wandering star or a rogue planet isn’t dangerous enough… what about a wondering “rogue” black hole? 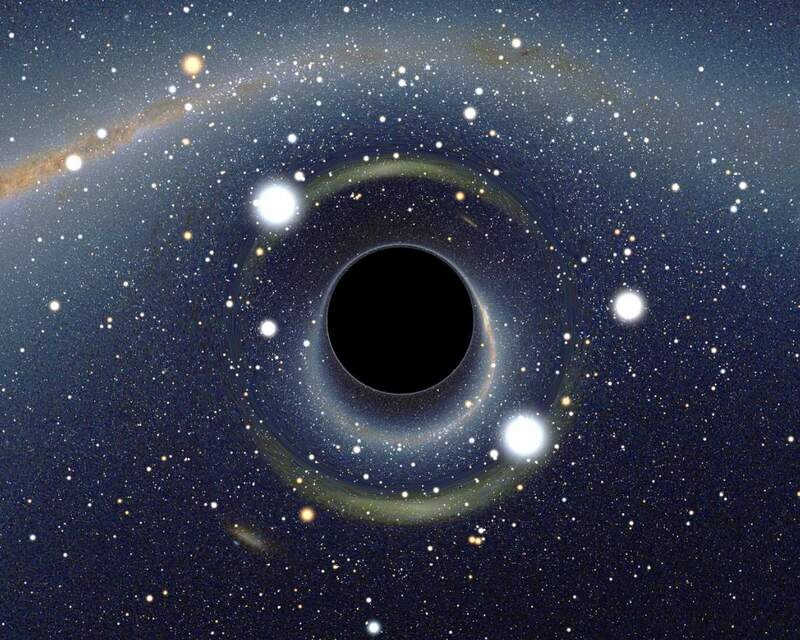 Black holes vary in size. Supermassive ones (100,000 to 10 billion times the mass of the Sun) are located in the centers of most galaxies, including Milky Way: Astronomers are very confident that the Milky Way galaxy has a supermassive black hole at its center, 26,000 light-years from the Solar System, in a region called Sagittarius A (source). Its estimated mass is 4.1 million M☉ (the mass of the Sun),or about 8.2×1036 kg. But, there are also smaller ones. There is also evidence for the existence of so-called intermediate-mass black holes, which have lower masses ranging between about 100 and 100,000 times that of the sun. And, the evidence suggests that both of these types of objects may be found away from the center of a galaxy. They probably born from a collision and merger with another galaxy containing a massive black hole. Astronomers now think Hundreds of “rogue” black holes may dwell in the Milky Way. What, if one of them pass through the solar system? Remember, even the light can’t escape from a black hole. So, the Earth definitely can’t. If it passes close enough, it can swallow the Earth, and even the complete solar system, including the Sun. There are other possibilities: it can kick us out of the solar system, or spiral us into the sun. The life could not exist without Sun – it is the ultimate source of energy for all life forms on Earth. But it will eventually destroy the life on Earth and probably the Earth itself. 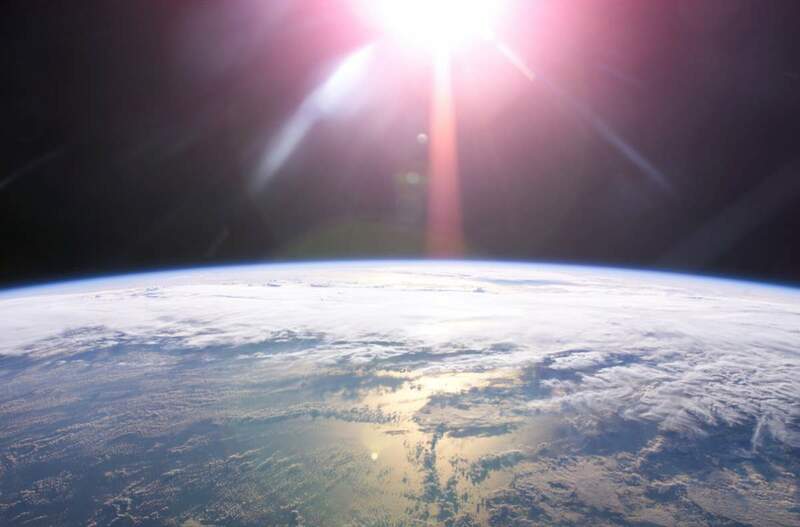 First, the sun will run low on hydrogen – its main fuel. Its core will begin collapsing in on itself and get denser and hotter – until it suddenly starts the second type of nuclear fusion: turning helium atoms into carbon and oxygen. This extra energy will push out the outer layers of the sun. Once a star starts burning helium, it can be considered a red giant. The sun will spend around a billion years burning helium in its core. During this phase, the core will contract and the outer layers will expand, cool, and become less bright. The sun will expand about 250 times its original size. It will probably swallow the Earth (whether the sun will expand to reach Earth is still a matter of debate among scientists). Eventually, the helium also will run out, and the core of the Sun will begin to collapse again. But this time, it will never get hot enough to start the next fusion chain. Its outer layers will get “puffed” off into space as a planetary nebula and the sun itself will become a white dwarf. Even if the Sun won’t “swallow” Earth, its evolutionary cycle (becoming a red giant, then a white dwarf) could perturb the orbits of planets in the solar system, increasing the chance that they would collide with each other and ultimately disintegrate and fall into the Sun. And, we’we seen this scenario at a distant star: in 2015, using the Kepler space telescope, astronomers have made the first direct discovery of a white dwarf star being orbited by a disintegrating minor planet that will ultimately collide into it. But, the Sun will destroy the life on Earth much sooner becoming a red giant: it will happen as soon as the solar luminosity becomes 10% higher than its current value. During the next four billion years, the luminosity of the Sun will steadily increase. This will result in a rise in the solar radiation reaching the Earth. Even 10% increase, which might not seem a lot, will cause more water to evaporate into the atmosphere. This extra vapor will create a greenhouse effect. As the Earth getting hotter, more water will evaporate – a deadly circle. The sun will shine almost 40% brighter around 3.5 billion years from now. It will boil Earth’s oceans and strip all of the moisture from its atmosphere. The Earth will become a Venus-like planet which is unbearably hot and dry. The life on it will completely be wiped out. What if an approaching rogue star becomes a supernova?Notes 2 It would cause a real harm on Earth by sending gamma rays into the inner solar system. The nearer the supernova, the bigger the threat is. But, since the chances of a rogue star coming really close to Earth is slim, the chances of that star becoming a supernova is even slimmer. Gamma-ray bursts (GRBs) are extremely energetic explosions that have been observed in distant galaxies. They are the most powerful events known to occur in the universe. They observed from Earth despite their typically immense distances – billions of light years. Evidence from recent satellites like Swift and Fermi indicate that the energy behind a gamma-ray burst comes from the collapse of matter into a black hole. Other possible sources are: merging two black holes, a rapidly rotating supernova or hypernova, a quark starNotes 3, or star collision. The gamma-ray bursts are extremely dangerous events. A GRB within a few parsecs, with its energy directed towards Earth, will mostly damage life by raising the UV levels; during the burst itself and for a few years thereafter. The major Ordovician–Silurian extinction events 450 million years ago (the second-or-third largest of the five major extinction events in Earth’s history in terms of percentage of genera that became extinct) may have been caused by a GRB. But, fortunately for us, we live in out the “boring” suburbs of the Milky Way. In fact, there’s a nearby binary star called WR 104, which is located about 7,500 light years from Earth. The primary star of that binary system is predicted to probably become a core-collapse-supernova with a small chance of producing a long duration gamma-ray burst. But even if it does, it might well miss the Earth. So, the changes of a gamma-ray burst directed towards Earth is very, very slim for a long time. This supercomputer simulation shows one of the most violent events in the universe: a pair of neutron stars colliding, merging and forming a black hole. Earth is surrounded by a protective magnetic shield, called the magnetosphere – which protects the planet (and the life on it) from solar winds and high-energy particles by redirecting this energy around the planet. It does not only protect Earth from the dangerous particles: some researchers think that Earth’s magnetic field deflects ionizing particles from the sun, which would otherwise wear away Earth’s atmosphere. So, if they are right, without a magnetic field, our planet would lose its atmosphere too, and all the life on it would die. This magnetic field is generated by Earth’s rotation. In fact, Earth’s core works as a giant electric dynamo: the Earth’s rotation swirls a thick shell of liquid iron and nickel (the outer core) around a solid ball of metal (the inner core). The good news for us is that the magnetic field here on Earth shows no sign of ceasing anytime soon. The dynamo in the core may do things like flip and reverse, swapping north-and-south magnetic poles, but we should continue to stay protected from the solar wind far into the foreseeable future – for at least a few billion years. If the core cools, though, and it certainly will in 3-4 billion years, the outer core becomes as solid as the inner core, and the giant dynamo currently powering the Earth’s magnetosphere stops. With the “collapse” of the magnetosphere, we’d lose our protection from solar winds, which would slowly blast our atmosphere into space. Something like this may have happened on Mars, which may once have been more hospitable to life than it is now. Scientists think the magnetosphere of Mars collapsed around 3.7 billion years ago, and it lost its atmosphere. 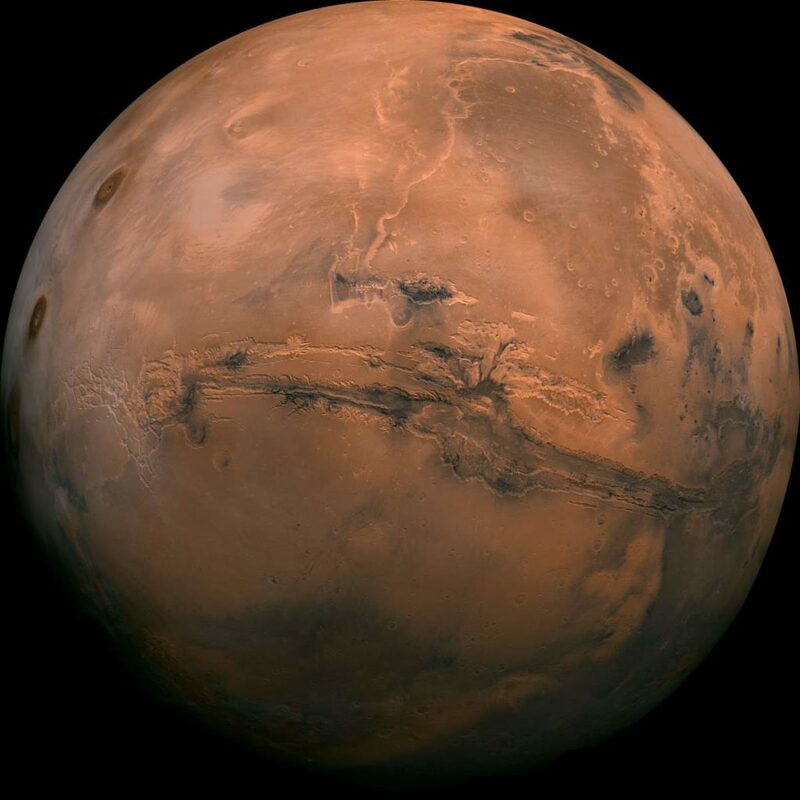 Now, Mars has a very thin atmosphere: the atmospheric pressure on the Martian surface averages 600 pascals (0.087 psi; 6.0 mbar), about only 0.6% of Earth’s mean sea level pressure of 101.3 kilopascals (14.69 psi; 1.013 bar). Mars is a cold and barren desert today, but scientists think that in the ancient past it was warm and wet. The loss of the early Martian atmosphere may have led to this dramatic change, and one of the prime suspects is the solar wind. Unlike Earth, Mars lacks a global magnetic field to deflect the stream of charged particles continuously blowing off the Sun. Instead, the solar wind crashes into the Mars upper atmosphere and can accelerate ions into space. Now, NASA’s MAVEN spacecraft has observed this process in action – by measuring the speed and direction of ions escaping from Mars. This data visualization compares simulations of the solar wind and Mars atmospheric escape with new measurements taken by MAVEN. On March 1, 2017, at the Planetary Science Vision 2050 Workshop, Dr. Jim Green (the Director of NASA’s Planetary Science Division) and a panel of researchers presented an ambitious idea: to restore its atmosphere, they suggested that by positioning a magnetic dipole shield at the Mars L1 Lagrange Point, an artificial magnetosphere could be formed that would encompass the entire planet, thus shielding it from solar wind and radiation. Even if no rogue star, planet or black hole approach Earth in future, gravitational perturbations between the Solar System’s planets may cause the inner Solar System as a whole to behave chaotically over long time periods. Computer simulations suggest that there is a small (less than 1%) chance that a collision could occur between Earth and either Mercury, Venus, or Mars over the next five billion years. Big rocks like the famous “dinosaur killer” Chicxulub asteroid may strike Earth once about every 500 million years. The last such impact was 66 million years ago. 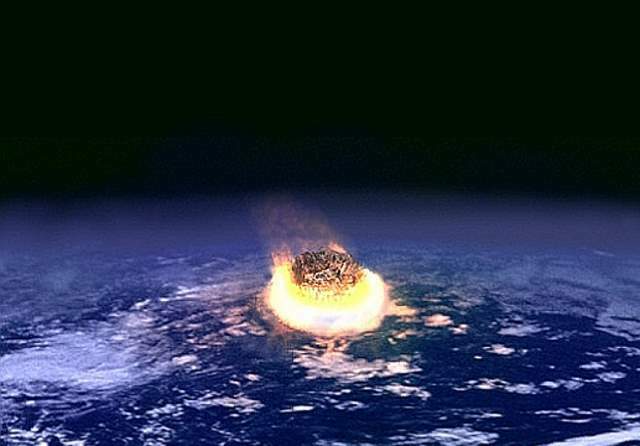 But none of these huge asteroids wiped out the life on Earth completely. They are still dangerous, though. Such an impact can kill many billions of living individuals (including humans) and bring human civilization to an end. But, in that timeframe, either the humanity will go extinct or will be advanced enough not to care about that. One of the suggested mechanisms for the Permian–Triassic (P–Tr) extinction event (colloquially known as the Great Dying, the End Permian or the Great Permian Extinction) which occurred about 252 Ma (million years) ago is massive volcanism. It was the biggest extinction event in Earth’s history: the recovery of life on Earth took significantly longer than after any other extinction event, possibly up to 10 million years. 90% to 96% of all species were gone. Up to 96% of all marine species and 70% of terrestrial vertebrate species became extinct. It is also the only known mass extinction of insects: some 57% of all families and 83% of all genera became extinct. Similar-sized eruptions happened 200, 180 and 65 million years ago, so they’re not regular. But one will surely happen eventually, though nobody knows exactly when. A huge volcanic activity can kill an enormous quantity of animals and plants, but what causes a mass extinction is its afterward effects: it may release vast quantities of ozone-destroying chemicals into the atmosphere. Then the radiation, which atmospheric ozone normally soaks up, does the real harm. 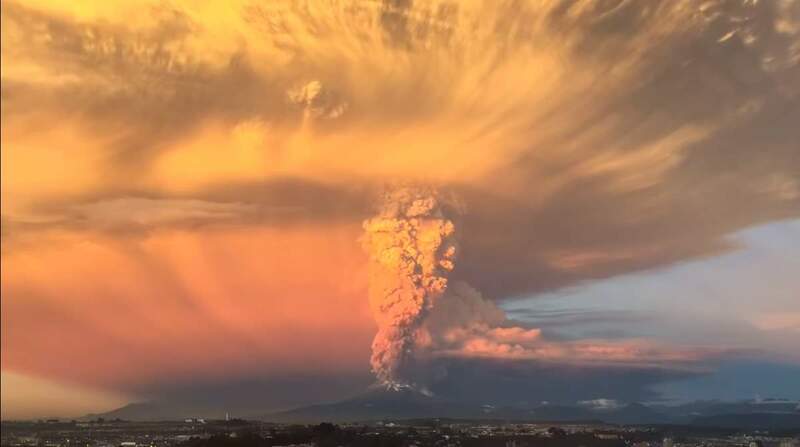 A huge volcanic activity like happened during the Permian–Triassic event also may also trigger a volcanic winter: the volcanic ash or dust released into the atmosphere during such a huge eruption can shade sunlight for decades. The tidal acceleration of the Moon slows the rotation rate of the Earth and increases the Earth-Moon distance. Friction effects—between the core and mantle and between the atmosphere and surface—can dissipate the Earth’s rotational energy. These combined effects are expected to increase the length of the day by more than 1.5 hours over the next 250 million years and to increase the obliquity by about a half degree. The distance to the Moon will increase by about 1.5 Earth radii during the same period. Based on computer models, the presence of the Moon appears to stabilize the obliquity of the Earth, which may help the planet to avoid dramatic climate changes. This stability is achieved because the Moon increases the precession rate of the Earth’s spin axis (that is, the precession motion of the ecliptic), thereby avoiding resonances between the precession of the spin and precession of the planet’s orbital plane relative to that of Jupiter. However, as the semimajor axis of the Moon’s orbit continues to increase, this stabilizing effect will diminish. At some point, perturbation effects will probably cause chaotic variations in the obliquity of the Earth, and the axial tilt may change by angles as high as 90° from the plane of the orbit. A high obliquity would probably result in dramatic changes in the climate and may destroy the planet’s habitability. When the axial tilt of the Earth exceeds 54°, the yearly insolation at the equator is less than that at the poles. The planet could remain at an obliquity of 60° to 90° for periods as long as 10 million years. Earth’s axis is today tilted 23.5 degrees from the plane of its orbit around the sun. More tilt means more severe seasons—warmer summers and colder winters; less tilt means less severe seasons—cooler summers and milder winters.For half of the Earth tilted towards the Sun, one hemisphere receives more solar radiation from the Sun than the other. In the image above, it’s summer in the southern hemisphere, while it’s winter in the northern hemisphere. Environmental threats. For example, today, one of the most pressing environmental challenges that we are faced with is marine plastic debris. It can kill our oceans and that would probably mean the end of life on planet Earth. SLO Active recently published a very detailed and informative guide, titled “Plastic Pollution: Single Use Plastic Impact on our Oceans“, covering this very subject. A few quick numbers show how big the problem is: Every year, 10-20 million tons of plastic ends up in our oceans. Around 5.25 trillion plastic particles currently floating around in world’s oceans. Estimated losses per year associated with marine plastic debris due to the negative impact on marine ecosystems is $13 billion. Extraterrestrial life could invade Earth, either to exterminate and supplant human life, or destroy the planet altogether. The Oort cloud, sometimes called the Öpik–Oort cloud is a theoretical cloud of predominantly icy planetesimals believed to surround the Sun to as far as somewhere between 50,000 and 200,000 AU (0.8 and 3.2 light years). It is named after astronomer Jan Oort, who first theorized its existence. 1 AU (Astronomical Unit) is the distance between Earth and Sun, which is now defined as exactly 149,597,870,700 meters (about 150 million kilometers, or 93 million miles). A supernova is an astronomical event that occurs during the last stellar evolutionary stages of a massive star’s life, whose dramatic and catastrophic destruction is marked by one final titanic explosion. This causes the sudden appearance of a “new” bright star, before slowly fading from sight over several weeks or months. Supernovae are more energetic than novae. In Latin, nova means “new”, referring astronomically to what appears to be a temporary new bright star. Adding the prefix “super-” distinguishes supernovae from ordinary novae, which are far less luminous. A quark star is a hypothetical type of compact exotic star composed of quark matter, where extremely high temperature and pressure forces nuclear particles to dissolve into a continuous phase consisting of free quarks. These are ultra-dense phases of degenerate matter theorized to form inside neutron stars exceeding a predicted internal pressure needed for quark degeneracy. Quark stars, if they exist, would resemble and be mistaken for neutron stars: they would form in the death of a massive star in a Type II supernova, they would be extremely dense and possess a very high gravitational field. “Plastic Pollution: The Impact on our oceans and what we can do about it.” on SLO Active webpage.